Stainless Steel Stepped Band Clamps: for aircraft and auto applications. 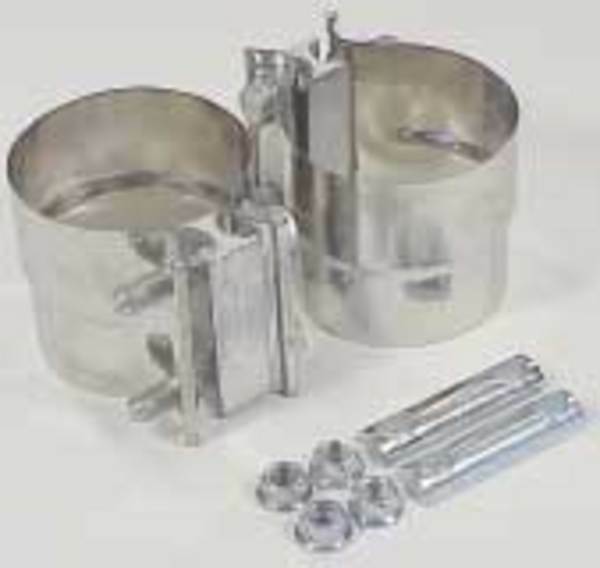 Connects flex exhaust tubing to headers, transom dump, mufflers or glass packs. Fits 2 1/2" mufflers and flex hose. 2 1/2 in. Stainless Band Clamp - USD $19.50 per ea. 3 in. Stainless Band Clamp - USD $19.77 per ea. 3 1/2 in. Stainless Band Clamp - USD $20.77 per ea. 4 in. Stainless Band Clamp - USD $21.77 per ea.